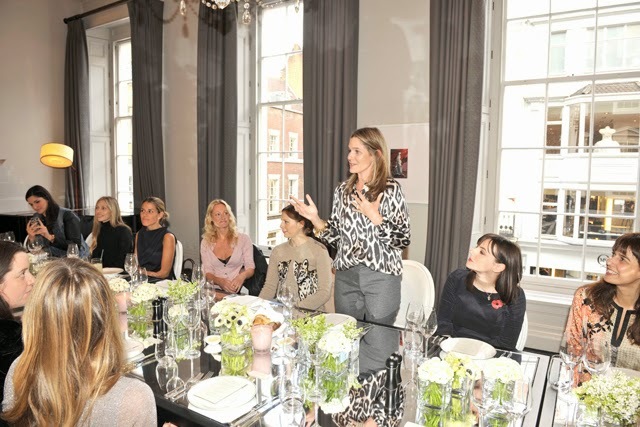 What an honour for FFG to be able to sit at a table with one of our heroines - Aerin Lauder - last week. This is a woman we have spoken about on numerous occasions over the past year. 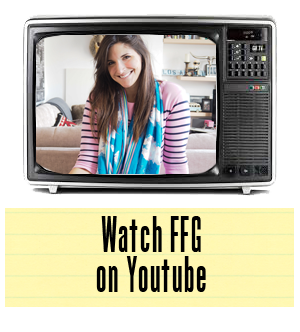 After launching her own cosmetics and lifestyle brands, she has taken the world by storm from tabletop to fragrance. 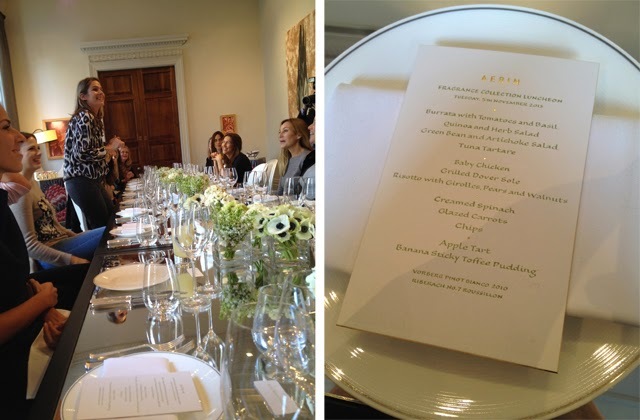 So to be asked to dine with Aerin, as she visited London to introduce her new fragrance collection, was an opportunity we would not soon be passing up. 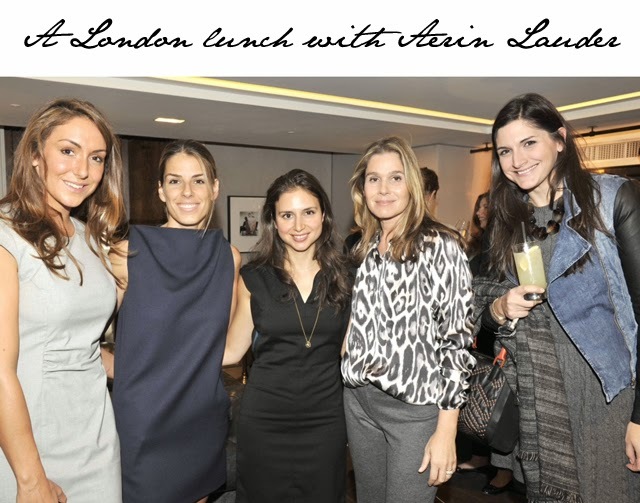 Over a delicious three course meal at The Arts Club on Dover Street, women from London's top magazines chatted to the hostess and her team about the new collection, which has recently dropped in the UK. 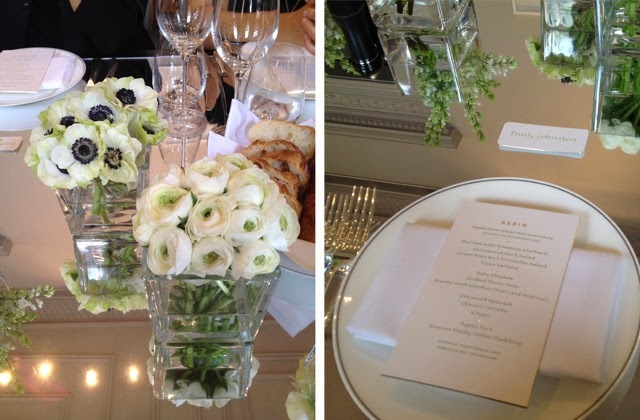 In fact, we couldn't help but discuss the fragrances from the moment we sat down for lunch as the room itself was wonderfully scented with Aerin's Evening Rose. It was one of the most luxurious fragrances we have yet to encounter. If you could possibly bottle class and sophistication, I suppose this is what you would find. While we can't comment on all the fragrances, we can definitely highly recommend Aerin's signature Evening Rose. 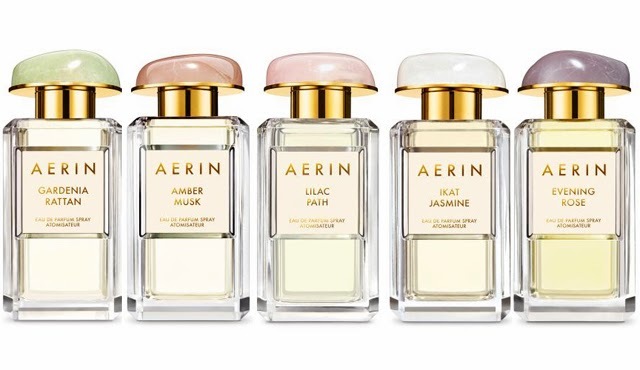 There are five Aerin scents in total and each rectangular bottle has been given a beautiful closing touch with a gem-like topper in a shade specific to each fragrance. Apart from smelling delightful, these little beauties also make for fabulous decoration. Is there anything Aerin hasn't thought of here? It doesn't seem likely. The collection has now dropped in stores and can be purchased from John Lewis, Selfridges and Harrods in London.